The D3-BASE from Dotworkz is a D3 Ring Of Fire De-Icing System With Multi Volt Platform (Mvp) And Vandal Tough Clear Lens.Forget everything you know about camera enclosures. 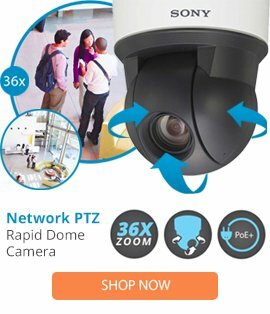 This revolutionary D3 environmental housing resets the standard, providing heavy-duty protection to PTZ cameras from the rigors of outdoor exposure, vandalism and physical damage. The D3 is available with Dotworkz Ring of Fire„¢ de-icing system for areas that reach -40°F and where ice/snow collects, Dotworkz Cooldome„¢ thermo-electric cooling system protects cameras in blazing hot temperatures up to 155° F.These systems prevent heat or cold induced shutdowns and the risk of damage to expensive cameras. The basic D3 is also available with standard duty heater and blower.The D3 is compatible with virtually every IP and analog PTZ camera on the market €” Axis, Canon, Toshiba, JVC, Panasonic, Sony and many more.The D3 allows a variety of standard sized accessories to be safely shielded inside the housing, such as routers, cell networks, wireless Mesh hardware, UPS systems, hard drives, and mini-storage devices.